Is a condition in men, referring to excessive development of mammarial tissue in single or both sides, taking a look similar to women. 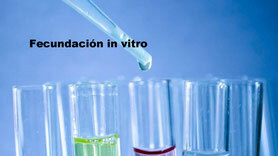 Blood and urine analysis, consultation with the endocrine and mammography. Must infiltrate a mixture designed to reduce bleeding and facilitate aspiration. Through small incisions the fat is sucked. If there is excess skin must be removed. In this case, the incision extends beyond the areola and scar will be longer and more visible. 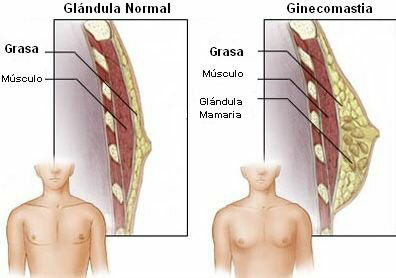 It is performed under general anesthesia. The operative time is one hour per gland. 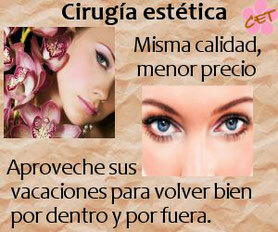 It is recommended that the patient remain for 24 hours at the clinic. The pain is mild. The accumulation of fluid in the treated area is common in the postoperative period. The chest belt avoids bruising initially and at least four weeks should be used to allow better cicatricación. The patient can return to normal activity within a few days but it is recommended not to make competitive physical activity for at least 4 weeks after surgery. The final healing and remodeling takes about 3 - 4 months. Minor alterations in sensitivity may occur. Hematoma, seroma, infection, abnormal skin sensitivity or jagged edges.